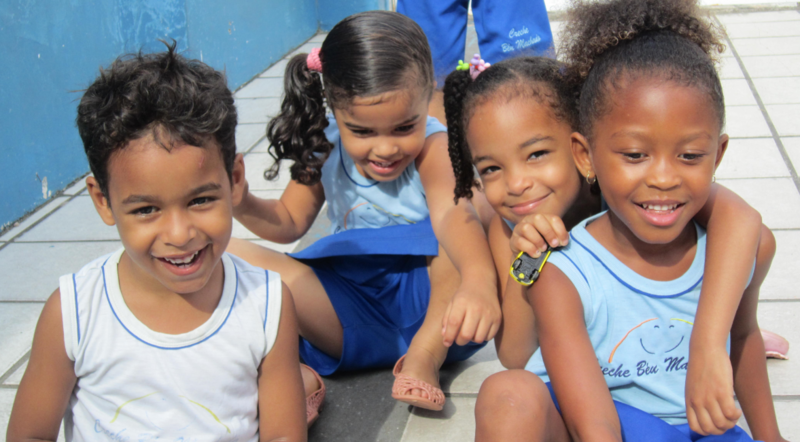 The charitable work continues: ENERGETIX continues its support this year for the ”Creche Béu Machado” child day-care centre in Salvador da Bahia in Brazil, which is financed entirely from donations (FROGBLOG reported). As a result of the business partner raffle in Willingen and a generous contribution from ENERGETIX’s management, 4,000 euros were donated to the children’s charity in February 2015. These important funds enabled the crèche to carry out urgent repairs, among other things. ENERGETIX and its business partners have donated nearly 10,000 euros to this good cause. Our thanks go out to all who made this pleasingly high donation possible! As you probably know, goal-setting training with the help of collages represents an effective method of visualizing one’s own goals and then realizing them. Done in a team, it’s a great experience that arouses emotions and allows the individual participants to take a positive look at their futures with a clearer vision. 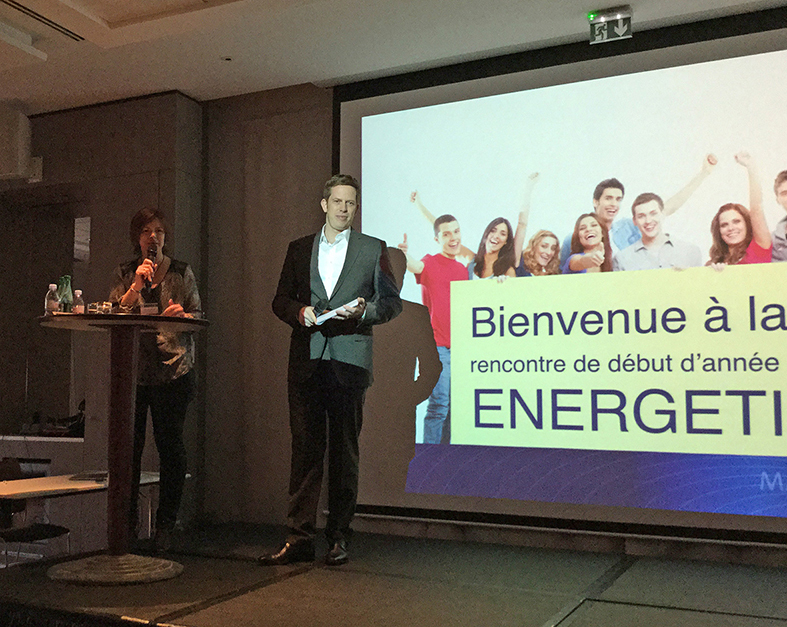 The collage training at ENERGETIX’s annual kick-off meeting in Willingen, for example, often produces waves of applause and delivers long-lasting motivational boosts. Renée Piguet is a dedicated ENERGETIX business partner and spontaneously took the goal-setting collage training in Willingen as an opportunity to organize her own training session using this method for her downline. It was held with her team from west Switzerland at the end of January. A theoretical part and a “pasta party” at Renée’s house (for which she’s already famous) were followed in the afternoon by the practical session. 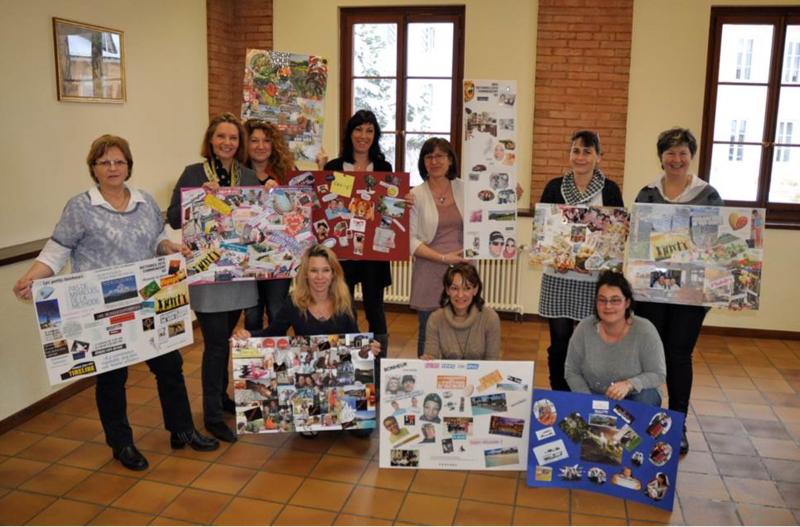 The collage training was so well received that Renée’s team members in Finland, France and Spain have also requested goal-setting training with the help of collages. 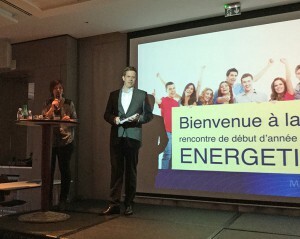 Following Grenoble (2012), Toulouse (2013) and Montpellier (2014), the annual kick-off event for 2015 was held in Rennes, which is located in the north-west of France. The meeting on 24 January presented a welcome opportunity for business partners to acquaint themselves with new facets of the company, to network and to start the new business year on a motivational high. Alexander Link, CIO, warmly welcomed the more than 160 participants and told them all about the latest happenings at the company. The presentation of the new training-trip competition – “Under Nature’s Spell” – and the unveiling of the new destinations were greeted with great interest. Petra Schmeing, ENERGETIX’s Event Manager, had also travelled to Rennes to, among other things, present the 2015 spring / summer collection’s jewellery and point out the items’ special features. 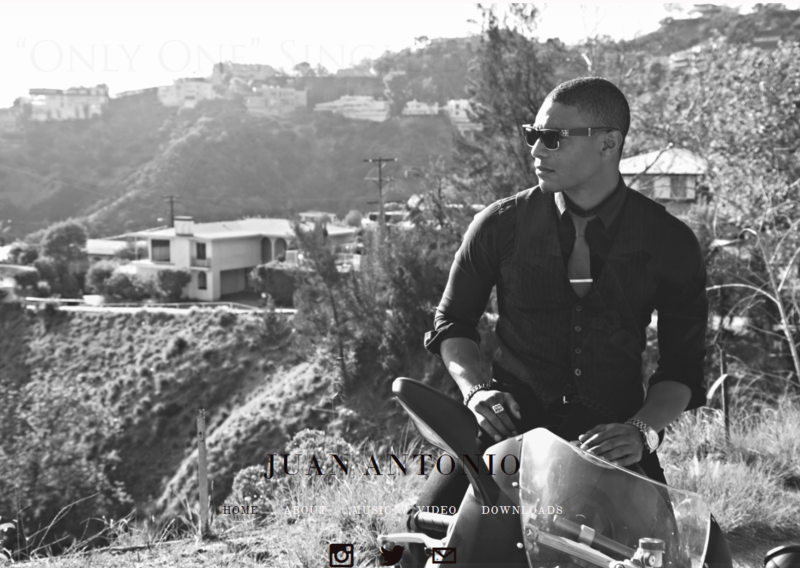 Exciting news from the USA: ENERGETIX’s friend and model, Juan Antonio Crawford, has released a music video! Our popular ENERGETIX model, Juan Antonio Crawford, is not only a model and actor, he’s also a musician and has just released his own song and video! You can listen to “Only One” and purchase and download both the song and video from his website at www.iamjantonio.com. Have you noticed, by the way, that Juan is wearing ENERGETIX jewellery in the video? The large black pendant in the shape of a cross is his favourite! He has told us that the songs on his EP are to be gradually released over the coming months (and may also be purchased at www.iamjantonio.com) – which means that his fans have got something to look forward to. This isn’t his first appearance in a video clip: Juan also appeared in the video for the release of “Best thing I never had” (2011) by international superstar, Beyoncé Knowles. Juan Antonio can also currently be seen in the new spot for the new Lexus. 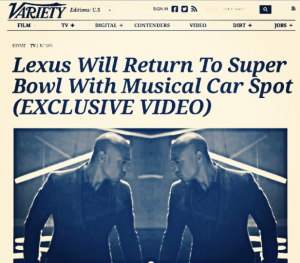 This lavishly produced Clip was premièred to a massive audience at the Super Bowl 49. And here’s the short making-of film for the advertising clip for you. The success story for both Juan Antonio and ENERGETIX already commenced 2010, which was when ENERGETIX booked the US model for the photos for the 2010/2011 main catalogue. In it, he appeared with successful German singer, Sarah Connor and the Columbian model, Karen Carreno, along with the winner of two Oscars, Kevin Costner, to present the jewellery in photos for ENERGETIX’s catalogue in 2011 against the fantastic backdrop of a desert in the USA.